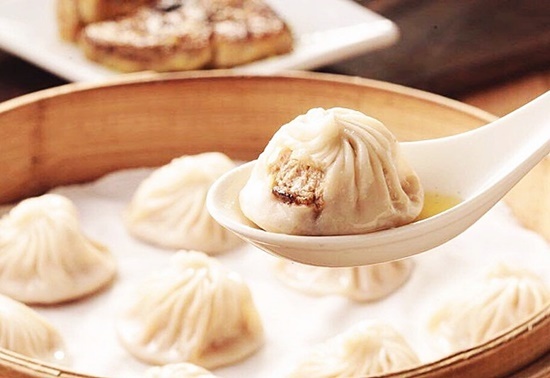 (SPOT.ph) What's better than xiao long bao? Unlimited xiao long bao! 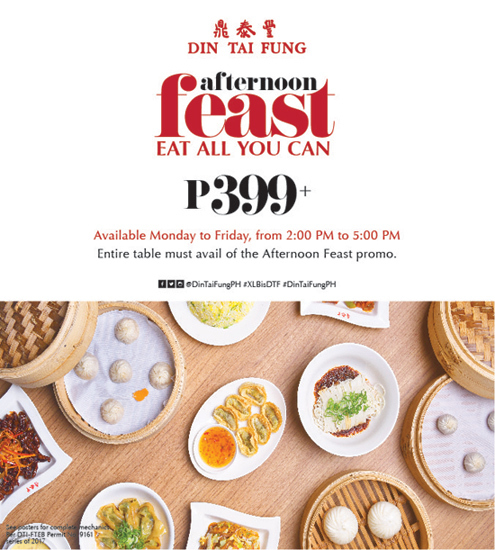 Din Tai Fung just launched their Afternoon Feast promo: every Monday to Friday, from 2 p.m. to 5 p.m., you can get all-you-can-eat servings of Chicken Xiao Long Bao, Sweet and Sour Pork, Pork and Roasted Garlic Bun, and more for only P399++ (kids below four feet only pay P299++). Complete unlimited menu includes: Chicken Xiao Long Bao (five pieces per serving), Pork and Roasted Garlic Bun, Crispy Vegetarian Mushroom Wontons, Vegetable Mushroom Wontons with House Soy Sauce, Sweet and Sour Pork, Crispy Beef Strips, Fried Rice with Sweet Garlic and Scallions, Fried Noodles with Vegetables, Noodles with House Special Spicy Sauce, and Mango Sago with Pomelo. 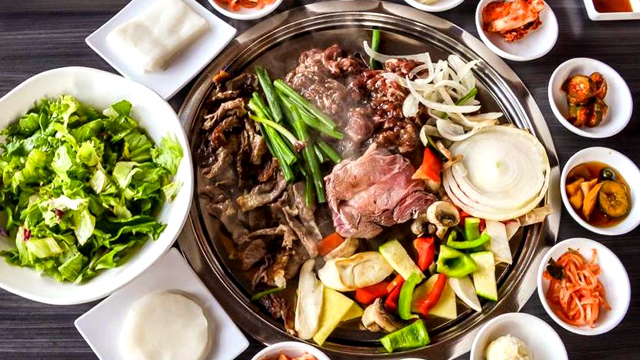 Each person may only avail a maximum of three dishes from the special menu at a time, and no leftovers are allowed so make sure to ready your appetite. 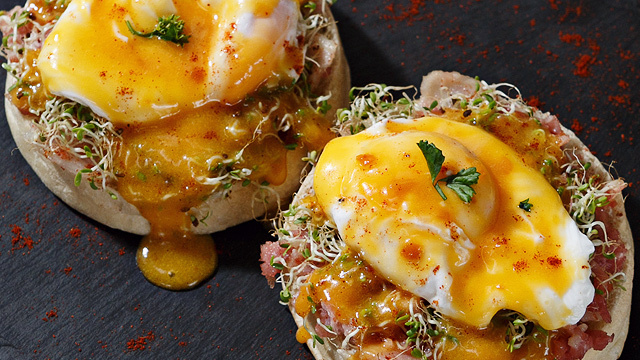 The Afternoon Feast is available only until August 18.